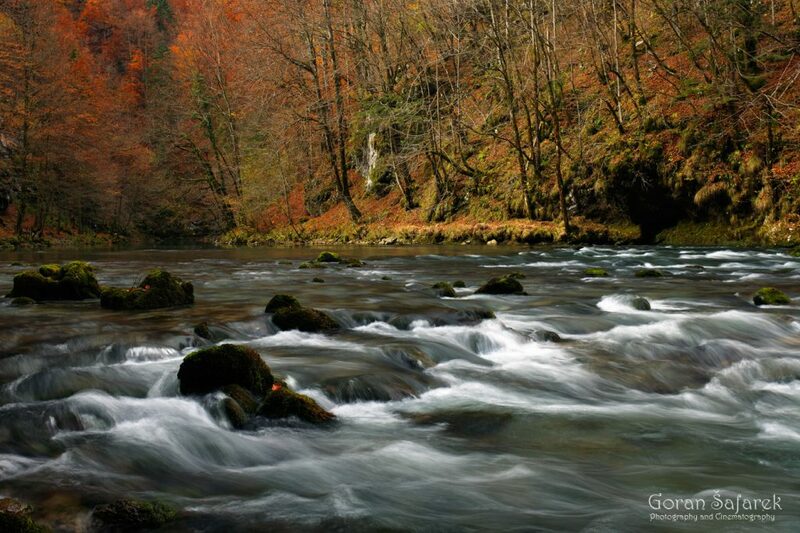 The extraordinary source of the Kupa River in Croatia - Explore Croatia Become a Patron! 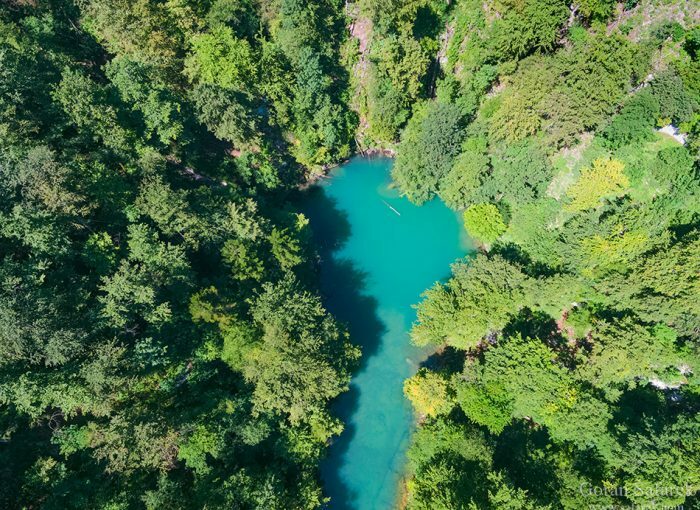 The upper stretch of the Kupa River reveals a beautiful emerald source in the form of the lake. Born in the wild settings of Risnjak National Park, it is a great one day trip. A visit to the Kupa spring is reachable from two directions—from the village of Razloge, situated 15 km from Crni Lug and from the village of Kupari, 30 km from the same village. Because of the narrow street, access to both villages is possible by small bus or by personal car. The footpath from the village of Razloge is full of serpentines and you will need around 30 minutes walk to reach the spring. You can reach the spring from the village of Hrvatsko too (Crni Lug – Hrvatsko 45 min drive) through Kupari (Hrvtasko-Kupari 1 h 30 min walk). 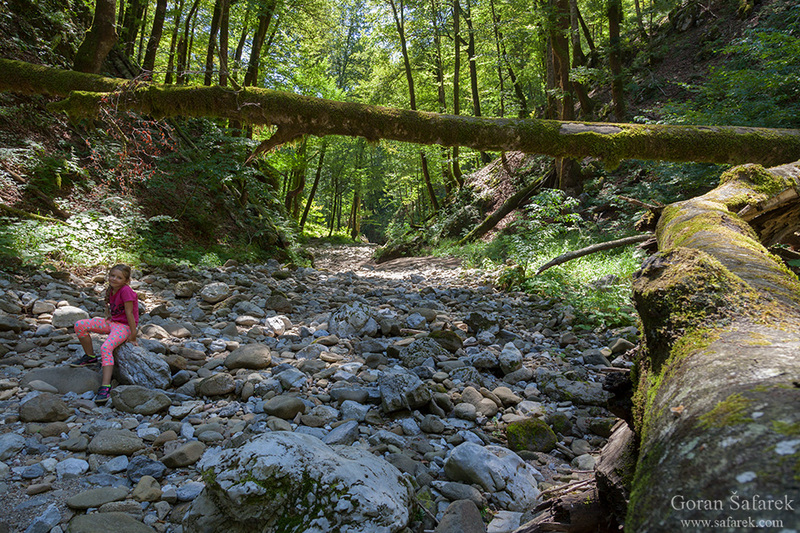 The path from Kupari is situated close to the water flow and will take you to the spring in around 30 min. You can go back using the path which extends close to the right part of the river bank, parallel with the river flow. The area was proclaimed a protected area on 12th December 1963 with its surface area of 10 ha, while it became part of the national park later. 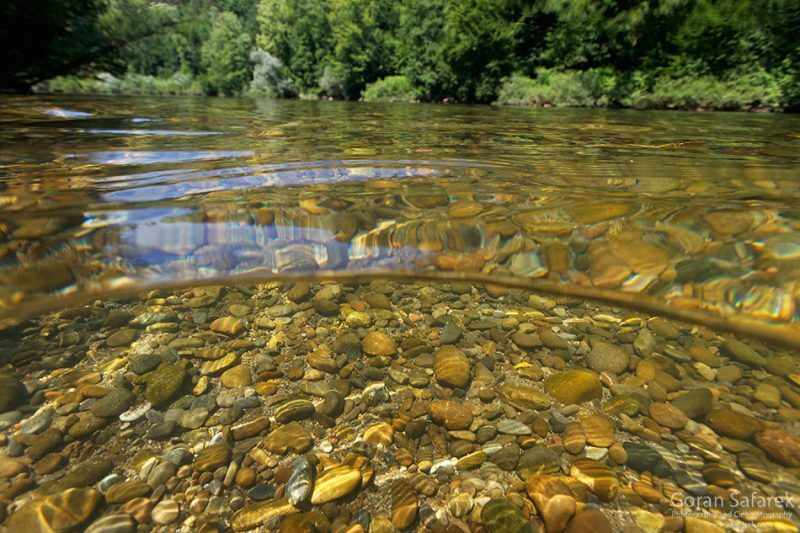 Even at its source, the Kupa River shows that it is something special in comparison to other rivers. Under some 300 meter high vertical cliffs, water of a muted emerald color pushes up from depths just as deep. It forms the quiet lake source, where water slowly flows downstream. Beneath the forested Risnjak mountain range, this spring drains huge amounts of water and the snow, the highest precipitation in the entire Croatia. Speleologists from Zagreb have conducted several studies of the spring, with specially equipped divers reaching depths of 150 meters in the vertical pit, but without seeing the bottom. The Kupa river source can be reached from the Kupa river valley. It is longer pedestrian access from the north. There is also another, shorter hiking trail from the village of Razloge by which it can be accessed as well. This one is a bit more physically demanding but getting the Kupa river source this way is definitely worth it! If you are physically fit, you can do this trip the same day when visiting Leska nature trail. In his wonderful book from 1898 entitled Gorski kotar, Dragutin Hirc gave a very sensible description of this area and the spring. The path leads past an older house on the slope of the hill and then you arrive at the green source of the Kupa River. What a rare sight! The peak of Kupeški vrh rises up 300 m above the Kupa. When you look from hill to hill, there are no settlements to be seen, not a soul in sight, nowhere a human voice. The ear can distinguish only the sound of the dearly flowing water. How pleasant and lovely it is in this solitude. This is not the home of human evil, vileness, hatred, discord or envy, but is the home of peaceful souls, the home, according to the legend, of the mountain fairies. A man would leave the world, if that were possible, and move here, to live a blessed and peaceful life. The water in the spring at the source of the Kupa is dark green, turbid and completely calm. Only when a grayling jumps to catch a fly or a damselfly nymph, does its surface gently break. The water is icy, too harsh for the trout, which inhabits the Kupa downstream. If you stand in the water, it is as though you are in a live bed of coals, and when you come out, the pain makes you bend over, and jump in place to ease the pain. After the source, Kupa flows a few kilometers eastwards, receives the small Čabranka River from the left, before reaching the Slovenian border. It then continues eastwards between the White Carniola region in the north and Central Croatia in the south. The Kupa receives influx from the river Lahinja from the left in Primostek, passes Vrbovsko, and eventually detaches from the Slovenian border having passed Metlika. It then reaches the city of Karlovac, where it receives influx from two other rivers from the right, Dobra and Korana (which in turn is joined by Mrežnica). The Kupa continues flowing to the east, where it merges with Glina from the right as well as Odra from the left, and proceeds to the town of Sisak where it flows into the Sava River. Guide to the white water rafting and canoeing in Croatia Diving in extraordinary world of Plitvice Lakes The Mrežnica River – river with 100 waterfalls The Gacka River – a paradise for flyfishing!